Hope you are having a great day and welcome to my blog! It is "W"ednesday at Magnolia-licious Challenge Blog and I have made a Easter decor item for the Challenge. I used Mini Hello Tilda at the base of a spool that I altered. 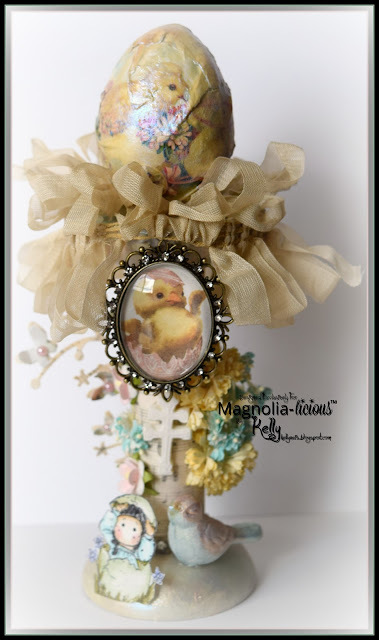 I used Prima products to create the spool to match my birdcage that I previously displayed for the Easter Blog Hop. The egg on top is paper mache with Pion's Easter Greetings paper. I also used the little duck image from Pion, for the pendant. 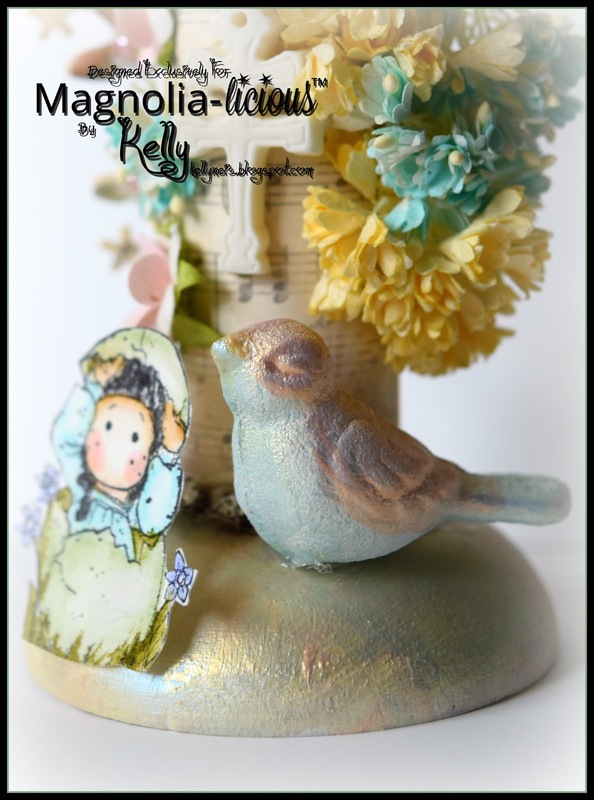 cards and projects using Mini Magnolia stamps. 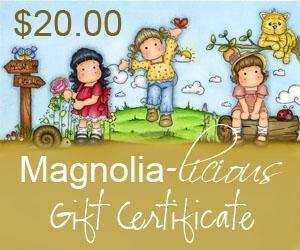 Please checkout the rules on Magnolia-licious Challenge Blog and join us with your project. Thank you for stopping by my blog today, hope your day is great!! What an amazing idea Kelly...beautifully designed! Your Tilda is adorable...a FABULOUS Easter decoration!!! Have a wonderful day Kelly! OH MY WORD....I'm doing a virtual happy dance over here. I read the word altered and then saw this and my face hurts from smiling....LOOOOOVE this so much, chica!!!! WOO HOO!!! Happy Belated Easter to you too!